The Swan Valley is Diamond Lounges' 2nd Home - With such a beautiful region less than 30 mins away you can see why. . .
We have a charter option for groups that would like to organize their own day. - Ironbark brewery do a lunch special $18 per head - exclusive to Diamond Lounge! - 3-4 venues are ideal. - Wineries charge between $5-$10pp for tastings which can be paid on the day to them. - You are free to pick and choose where you would like to go and provide us with your booked in itinerary. - We are happy to assist in best locations and provide sample itineraries! - If you wish to extend longer than the 6hrs included, an additional $150 per half an hour for Limo coach. -SUNDAY SPECIAL WINERY/BREWERY TOURS! DISCOUNTED RATES AVAILABLE!! 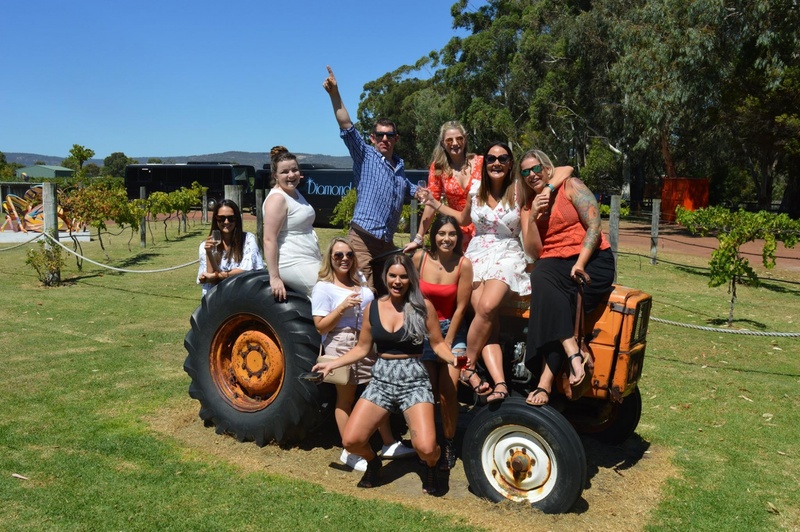 The Swan Valley is all about indulgence – feet up, wine in hand, sun shining and good times with friends. If that’s all you want to concentrate on, then this is where you need to be! Our all-inclusive tours take care of everything. All you have to do is step on board. We often choose to dine at houghtons or ironbark as we find the food to be amazing and the customer service is fantastic! All charters come with a professional driver, all our staff are well dressed, young, vibrant, friendly and professional as customer service is our number 1 goal. Throw in a pole, dance floor, smoke machine, 4 microphone Karaoke, on board bathroom (30 Seater), the best in sound and lighting, red carpet rolled out your arrival/departure, Free water and photography, why would you bother with anything else!